Be the first to share your favorite memory, photo or story of Iosif. This memorial page is dedicated for family, friends and future generations to celebrate the life of their loved one. 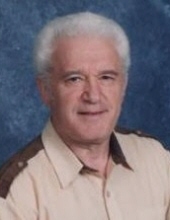 SHKOLNIK, Iosif - Age 82, of Flushing, died Sunday, March 17, 2019. Funeral services will be held 2:00 PM Monday, March 18, 2019 in the chapel at Machpelah Cemetery, Flint. Rabbi Yisroel Weingarten officiating. Those desiring may make contributions to Temple Beth El, 5150 Calkins Road, Flint, MI 48532. Iosif was born April 29, 1936 in Vinnytsia, Ukraine, the son of Elia Shkolnik and Sofia Koltanuk. He married Ida Leshchinskaya February 17, 1961 in Kishinev, Moldova. In Russia he worked for the Moscow Civil Engineering University as a scientist and in research. He received the Medal of Honor from the Soviet Government for his achievements in science. He was employed in the United States as an assistant teacher at Carman Ainsworth Community Schools and also was a visiting professor at Kettering University and Wayne State University. He came to the United States in 1994 and had resided in Flushing for the past 20 years. To send flowers or a remembrance gift to the family of Iosif Shkolnik, please visit our Tribute Store. "Email Address" would like to share the life celebration of Iosif Shkolnik. Click on the "link" to go to share a favorite memory or leave a condolence message for the family.